Do you love living at Haymeadow? Spread the word! 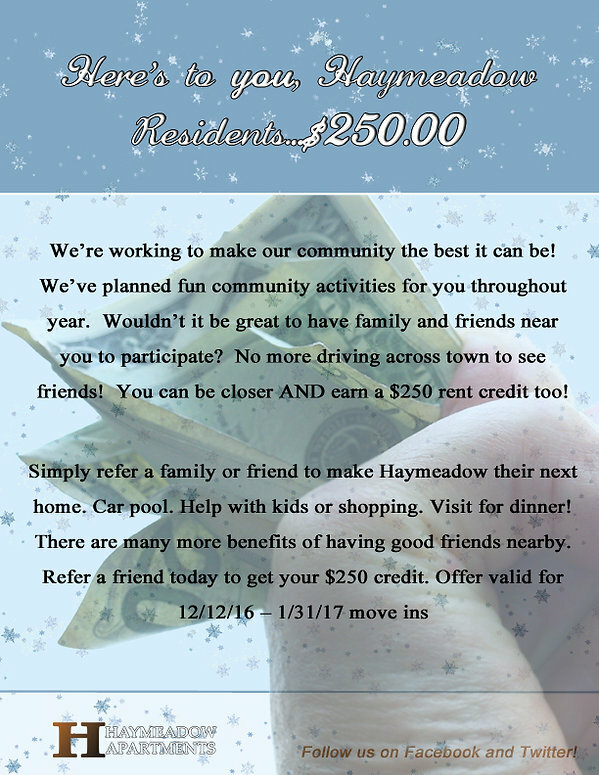 Refer someone and could get $250! Call our office at (309) 692-7155 to learn more. Check out this and other specials by clicking the "Current Specials" button on our Residential Page.